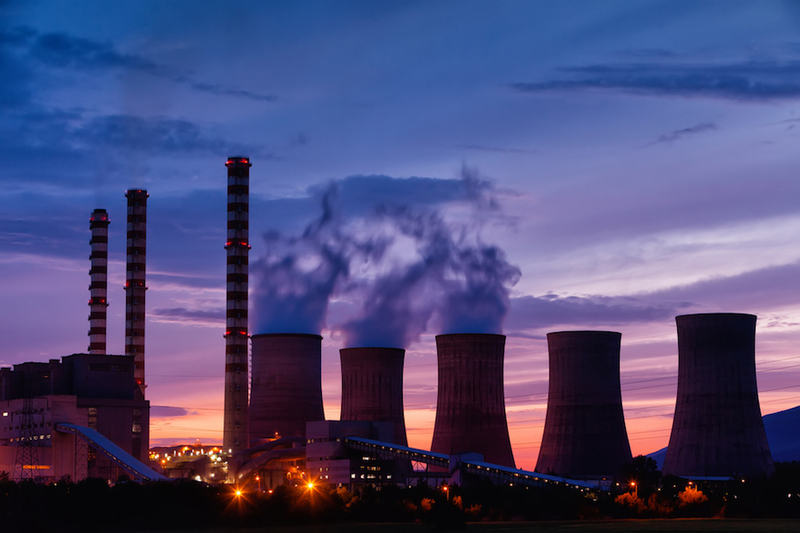 Despite entreaties by the U.S. President, coal production is declining worldwide, putting the new Administration on the opposite side of a trend. Trump last week was touting the opening of a new mine in Pennsylvania as having benefitted from his government's coal deregulation measures, even though the mine had actually planned to restart a year ago, prior to Trump being elected. Now a new report from BP Plc, which reviews global energy trends every year, says that in 2016, U.S. demand for coal plummeted 33.4 million tons of oil equivalent to 358.4 million – a level not seen since the 1970s. 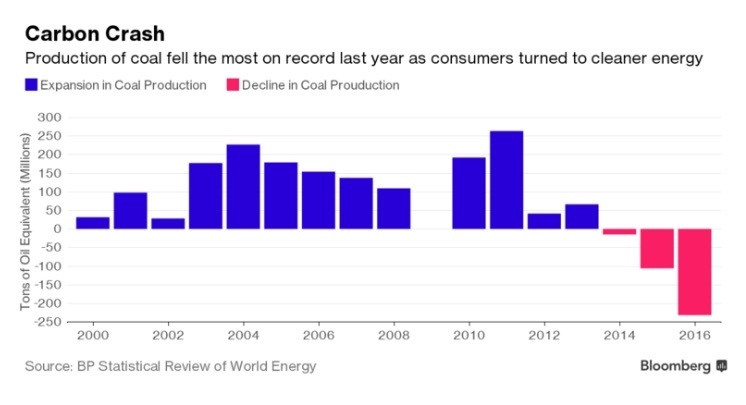 China, the world's largest energy consumer, burned the least coal in six years. Consumption of coal fell in every continent except Africa. The upside of the reduced coal production has been lower carbon emissions, which have not grown for three consecutive years, stated Spencer Dale, BP's chief economist, at a media briefing in London today quoted by Bloomberg. The reasons for the decline in coal use are well known: more plentiful, cheaper natural gas, countries switching more to renewable energies, whose costs are dropping, and social pressure to cut coal in favour of cleaner, lower-carbon fuels. While coal bulls were elated for awhile earlier this year – when the price of coking coal reached heights not seen since 2011 due to cyclones in Australia and subsequent flooding in Queensland – the price of the steelmaking ingredient fell to an eight-month low yesterday as supplies return to normal levels. Yet the world's declining hunger for coal has clearly not been a factor in a recent bidding war between major coal players over coal mines in Australia. Chinese-owned Yancoal (ASX:YAL) signalled Tuesday it may be willing to raise its offer and so outbid Glencore after striking an agreement with Mitsubishi to buy its 32.4% stake in Rio Tinto’s (ASX, LON:RIO) coal assets in Australia's Hunter Valley. The tag-along deal with Mitsubishi came almost three days after miner and commodities trader Glencore (LON:GLEN) said it had reached an agreement with the Japanese firm to buy the same interests in the same coal mines. However, Yancoal's offer, at $940 million, was slightly higher.